How to save on the fuel price hike? Try not driving. Apart from the VAT hike and incoming increases in municipal rates and tax, consumers will now have to contend with record-high fuel prices and an inevitable resultant increase in food prices. The Department of Energy on Sunday announced that both grades of petrol, 93 and 95 (unleaded and lead replacement), would increase by 26 cents and 23 cents respectively, bringing the inland price to over R16 per litre. The hikes will go into effect on Wednesday July 4. 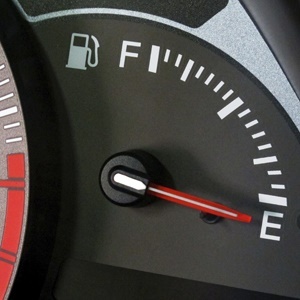 In an emailed response to Fin24 about the impact of the fuel increases on consumers and the SA economy, Investec chief economist Annabel Bishop explained that it would hit consumers’ disposable income and ultimately GDP growth. Lower disposable income will result in a negative effect on retail spending and harm household consumption expenditure, which accounts for two-thirds of GDP. 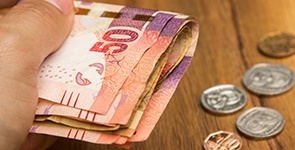 "What was supposed to be a stronger economic growth year for South Africa, heralding a new dawn, has been tripped up by the greater financial burden imposed on consumers, which will serve to limit economic growth this year," said Bishop. Bishop advised that consumers reduce their debt levels to free up disposable income to "meet the rising cost of living". They should also try to "eliminate" non-essential travel to cut costs. READ: #SavingsMonth: Can this viral 52-week plan work? Transport economist Ofentse Mokwena from North West University shared views on how consumers could save on transport costs. "Where land-uses permit, using non-motorised transport is a crucial avenue to simply avoid the costs in general," he said. "Private car users in central business districts are probably better off using public transport modes that seem reasonable to them, and have a dedicated right of way – meaning they do not interact with traffic throughout the journey." Mokwena said that public transport users may also be exposed to increased commuter prices in different regions, depending on the associations, and this includes scholar transport operators. But there may be a reluctance to increase minibus taxi fares or any public transport fare more than once a year. However, Mokwena warned that few operators are able to afford to maintain their services, keep prices low and offer viable prices in the long run if energy cost increases persist. He suggested long-term solutions, such as the integration of commercial transport applications that enhance efficiencies of all modes of transport, as well as changes in energy sources. Mokwena also advised households to rethink their budgets to manage the effects of the fuel hike. "There are different types of consumers that will be affected by the hike in different ways, and across various dimensions of their consumption basket. "Households need to budget more deeply, not just in terms of transportation costs, but in food baskets, spending patterns, domestic product consumption and pursuing other avenues to raise additional incomes," he said. Professor Jannie Rossouw, the head of Wits School of Economic and Business Science, who is travelling in Paris, France, told Fin24 that fuel in South Africa was still much cheaper than in Europe. The price of fuel in Europe goes for between €1.6 (about R25) or €1.7 (about R27) per litre, depending on where you buy, he said. "Even at R16 per litre [in South Africa] fuel is still cheaper than in Europe." Rossouw added that the fuel price would come down if the exchange rate improved. He believes policy certainty would lead to the rand appreciating against the dollar. 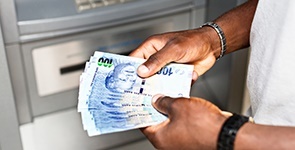 "We need policy in place to make SA an attractive investment destination to improve the exchange rate," said Rossouw. Where land-uses permit, using non-motorised transport is a crucial avenue to simply avoid the costs in general. #SavingsMonth: Can this viral 52-week plan work? Financial planners weigh in on whether a savings plan which has gone viral on social media could in fact work. There's good news on bank charges. You're already saving, and you could be saving more.